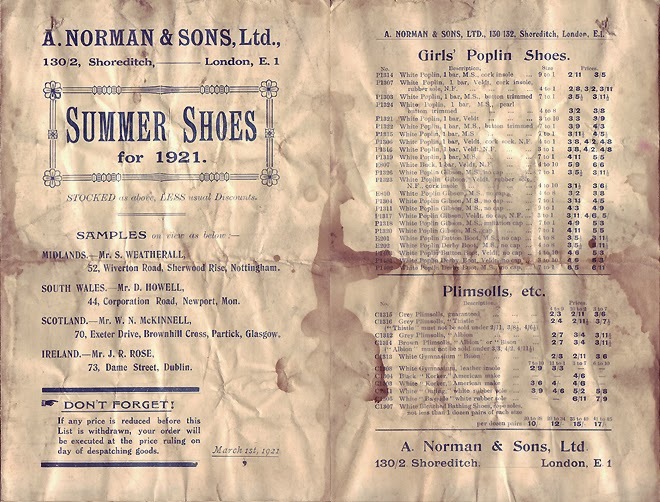 Established in 1863 by Albert Norman the firm of A. Norman and Sons Ltd, footwear wholesalers and later manufacturers, had its origins in the firm of Norman and Sons Boot and Shoe Factors of 34, 36 and 38 Kingsland Road, London E1. 1906 - the firm became a limited company with members of the Norman family as major shareholders and directors. 1927 - the firm had moved to 110-112 Shoreditch High Street, premises with which it remained associated until 1983. 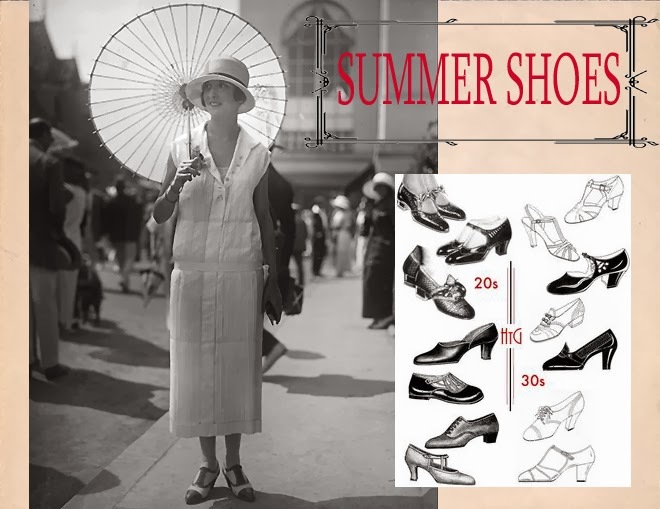 From these premises the company conducted business as general factors, supplying footwear of all types of retailers all over the United Kingdom. 1950 - the company acquired a manufacturing arm through the acquisition a Borough Shoes Limited, of Higham Ferres, Northamptonshire, formerly A. Sudborough and Son Limited. 1965 - a warehouse at 112-120 Tower Hamlets Road, Forest Gate, had been added to the company's assets. 1971 - the last year for which an annual report survives, the company had a turnover of £865,156. The Norman family remained associated with the company until 1972, when the company was taken over by Spencer Rotherham Limited, textile and general wholesalers, also of Shoreditch High Street. 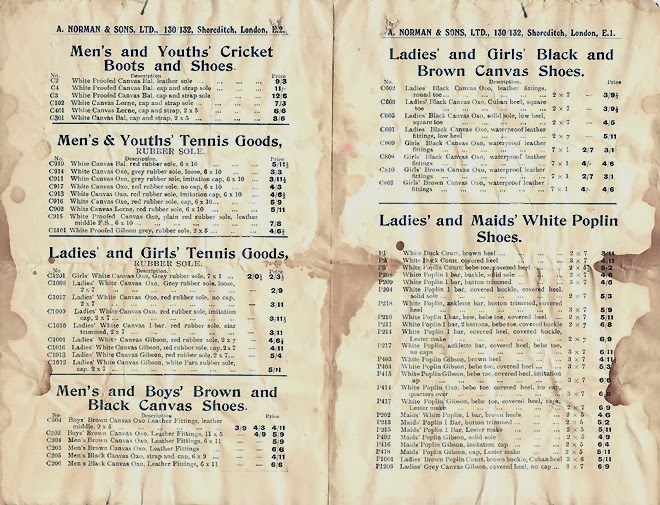 This collection covers the period between 1906 and 1972, the period between the formation of A Norman & Sons upto the takeover by Spencer Rotherham Ltd. A related series of trade catalogues is held by the Hackney Museum.